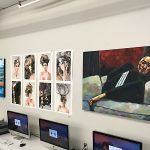 A new exhibition has opened at the Learning Zone Gallery called Migration. 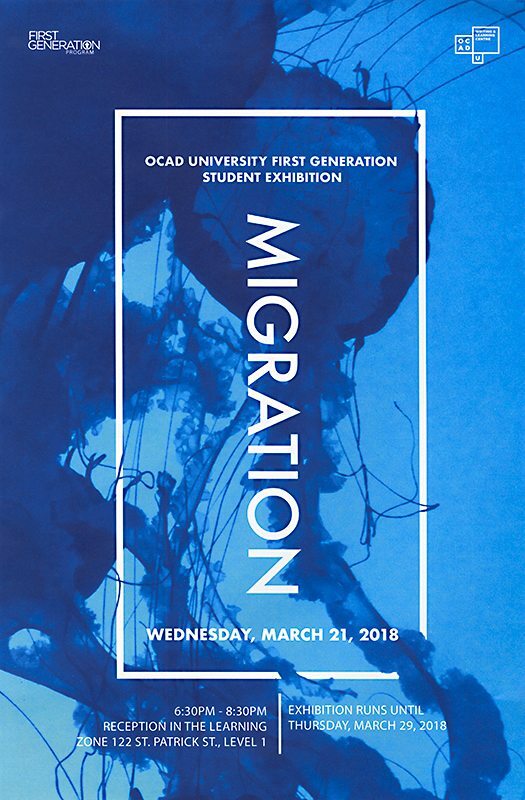 Migration: First Generation Student Exhibition is an event held every year which recognizes the “talent and achievements” of First Generation students from all of the undergraduate programs at OCAD University. 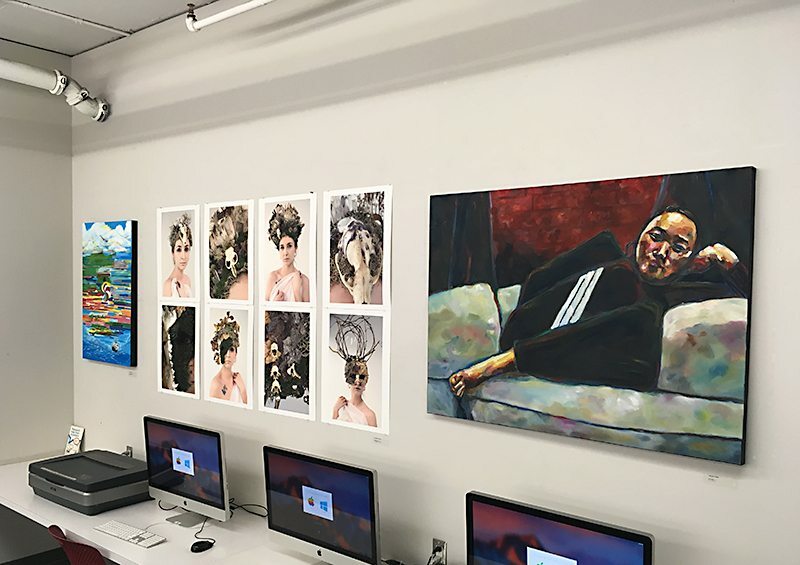 Seventeen first generation students’ artwork responding to the exhibition theme “Migration” will be showcased. A publication launch of Migration will be held at the opening reception in the Learning Zone, Wednesday March 21, from 6:30 to 8:30 pm.